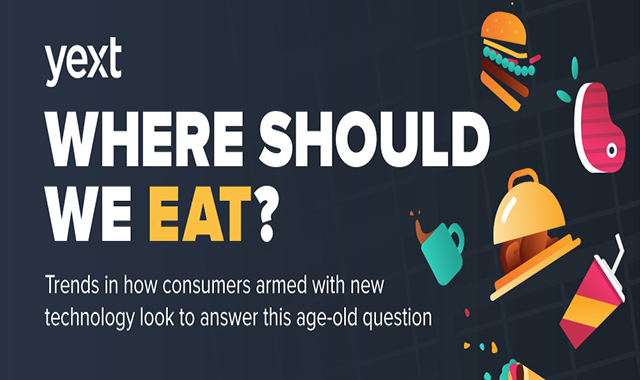 Where Should We Eat #infographic ~ Visualistan '+g+"
Smart devices, voice assistants, and AI are changing the way people make dining decisions. Consumers search for food more than any other business category, so you need to make sure you show up no matter where, when, or how they're searching. Yext for Food puts you in control of the public facts about your restaurant brand — everywhere people are searching. Serve hungry consumers the information they crave, so they find their way to your tables, counters, and drive-thrus.